Notes: I purchased this LP for the wonderful artwork by Jack Davis on both the front and back covers. 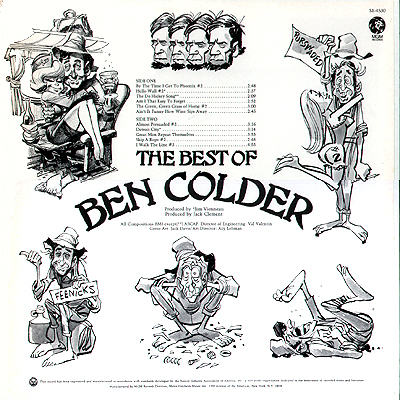 It turns out the "Ben Colder" is the alter ego of one Sheb Wooley, he of "Flying Purple People Eater" fame. 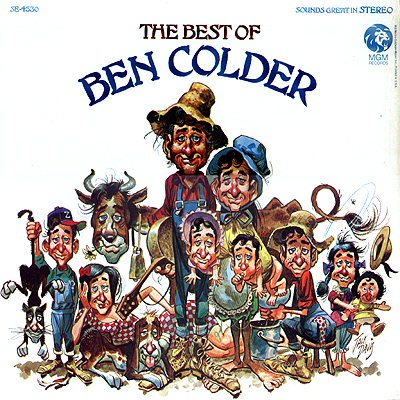 As Ben Colder he would appear from time to time on the TV show Hee Haw. But, the attraction here is still the cover art. Anything touched by Jack Davis is worth owning.